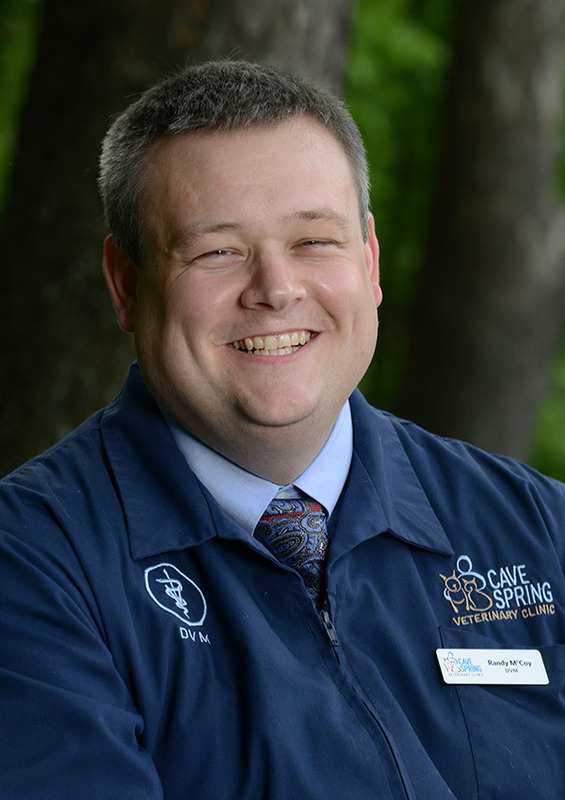 Dr. Randy McCoy is a Roanoke native and joined Cave Spring Veterinary Clinic in 2018. He obtained his Bachelor’s degree in Animal and Poultry Science from Virginia Tech in 2005, and his DVM from the Michigan State University College of Veterinary Medicine in 2011. Dr. McCoy strives to provide the highest level of care for pets with special interests in the areas of soft tissue surgery, dentistry, and senior pet care. Outside of the office Dr. McCoy likes to work on projects around the house (with his cat, Frank, often along for the ride), play golf and travel. Copyright 2018, Cave Spring Veterinary Clinic. All rights reserved.